Why Do Truck Drivers Do This? This post is mainly for all of you out there who have never driven a truck before. These are concerns we hear all the time from people on the roads regarding truck drivers. It's clearly something that irritates those we share the road with. Well, here's a little secret for you. It irritates us just as much as it irritates you. Most trucks you see on the road have their speed governed between 60 and 65mph. So, let's say there is one truck governed at 62 and one governed at 64. The faster truck will pull out and try to pass the slower truck. The faster truck only has 2mph to get around, so it takes a while as it is. But to make things even worse, the terrain plays a big role too. Should those trucks hit an incline, the slower truck might be loaded lighter or pull hills better. So the "faster" truck has now become the slower truck until the incline ends. The trucks sort of become "stuck" next to each other. The truck being passed could slow down, but momentum is huge for these trucks. Letting up on the fuel just a little bit on an incline could set up for a chain reaction where the truck will just keep slowing down, eating up more pricey fuel. Then, it could take that truck a half mile or longer just to get the speed back up. It's a situation that truck drivers hate just as much as everyone else on the road. When this happens, please don't tailgate us. We're doing our best, and we're not sitting in the drivers seat laughing because of the backup we're causing. Riding next to another semi is dangerous and we don't like doing it, but sometimes the small inclines catch us by surprise and we get stuck. It doesn't take much of an incline to slow us down. Tailgating us will do no good at all. If we blow a tire, guess where the rubber is going to end up? Right on your windshield. We can't go any faster, even though we want to. A truck will be in the right lane, then swing out into the left lane in front of a car to pass another vehicle, forcing the car in the left lane to hit the brakes. We don't condone this. It is dangerous. But there's a reason why they do this. Sometimes, a truck will come up behind a vehicle that is traveling much slower. The truck driver has two choices; Either hit the brakes, wait for an opening, then move into the left lane, or simply cut in while there is space, even if that space is small. The reason a lot of truck drivers decide to pull out into the left lane is because once they hit the brakes and lose that momentum, it can take them a very long time to build that speed up again. This will cause traffic to back up behind them and eat up a lot of fuel. It's usually a good idea, if you see a truck approaching another vehicle at a fast closing rate, simply back off and flash your lights so he knows he can come over. You won't lose much time out of your day, and the driver will be very appreciative. Another reason this happens is because of traffic near on-ramps. If there are a line of cars merging, a lot of drivers will simply try to get out of the way. Please, do not change lanes and pass on the right. Once the merge point has passed, that driver is looking for the first opportunity to get back over. A quick decision usually has to be made at merge points. If the truck driver feels getting into the left lane is the safest choice, he's coming over, so give them room. Truck drivers are taught to look very far down the road. Since they sit up high, they can see further than you can. If they see something such as an emergency vehicle on the shoulder, a broken down car or truck on the shoulder, a lane closure, construction, or any number of things, they will get into the left lane as soon as there is an opening. Sometimes it may seem like they moved over way too early. But if they can see the hazard, they will get over as soon as they can. Once they have passed the hazard, truck drivers will move back over. Also, in larger cities, if there are 3 lanes to use, drivers often will use the center lane. Most drivers take a defensive driving course called the "Smith System" and they are taught specifically to use the center lane. It's much safer to us to use the center lane with all the merging going on. Plus, if something happens where they need to make a quick decision, they have more options to work with. Please, if you can help it, don't pass us on the right. Passing on the left is always the safest choice. Most of the time, truck drivers will try to move over at merge points (on-ramps and lane closures). However, they are actually taught not to do this. It sets up a situation where they will have cars driving along the right side of them, and that's where they have a lot of blind spots. Also, sometimes it's simply not possible to move over. they are taught to hold speed. That way, you can adjust your speed to theirs. Make a decision to hit the gas and get in front of them, or slow down and come in behind them. Plan ahead! Don't wait until the last second to decide what you're going to do! Your car is much more maneuverable than our trucks. Ok, this one is fairly obvious. So they don't flip over! They have a high center of gravity which makes it very easy for them to tip, especially if the trailer is loaded real high. But there's more to it than just that. Even if they're going slow enough to stay upright, truck drivers still have to worry about the cargo they are carrying falling over. Most ramps and tight curves have a little sign stating the suggested speed. Since those signs are designed for cars, they generally do about 10mph slower than what the sign says. The timing on stop lights is designed for cars. They do not allow ample time for a fully loaded truck to stop. So when that light turns yellow, usually if they have to think about whether they should stop or not, they just go. Truck drivers will usually set up a "point of no return" and once they hit that point, they are going no matter what the light does. We've heard some people say "trucks have eighteen brakes and a car only has four." That is false! They actually only have 10 brakes. That means if they have a fully loaded truck, each brake has to stop 8,000 pounds! They also do not have enough tire area contacting the road to utilize the brakes fully. The brakes will lock up the wheels, even fully loaded, so they can only brake so hard before the tires lock up. Not to mention what slamming on the brakes does to the cargo. 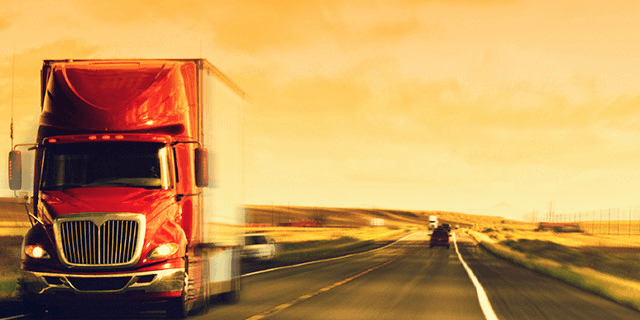 Truck drivers are heavily regulated on how many hours they are allowed to drive in a day. Unknown to the general public, there is a severe shortage of truck parking in this country. Most truck stops get filled up around 7 or 8 at night, as do most rest areas. Truck drivers are often forced to find alternate places to park, like on and off ramps. Hopefully this helps to answer some questions you might have about why truck drivers do certain things.